Purchasing a new mattress in today’s market may seem like a daunting task…but it doesn’t have to be. Here are some tips to simplify and improve the experience so that you can find the right bed for you. Make a list of what you like and dislike about your old mattress. What criteria are important for your new mattress? In addition to comfort and durability, consider aspects such as motion transfer, pressure relief, and even size. What kind of a sleeper are you—back, stomach, or side? Is heat an issue? (If you sleep hot, avoid memory foam or synthetic latex.) Do you toss and turn? Do you sleep alone or with someone? (This is significant for innerspring mattresses; if you sleep with a partner, look for individually pocketed coils which reduce motion transfer.) Do you have room to upgrade the size? (Studies show that people sleep better in larger beds). Ask your friends and relatives about the mattress stores and brands they trust. Go somewhere that has experience and a solid reputation for providing straight information. 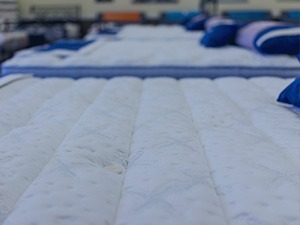 In the mattress industry, smaller local stores usually have the best prices. Gigantic showrooms have gigantic overheads (rent, utilities, employees, etc.) and those costs translate into higher prices. If you are thinking about buying from a mattress clearance center, make sure the law tag is still attached to the bed. 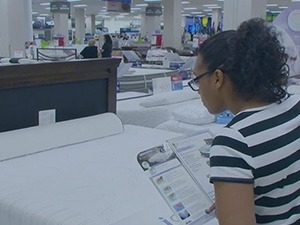 Certain manufacturers will actually re-sell their warranty returns (defective beds) to these clearance centers, which in turn re-sell them as new to consumers. Watch out for mix-and-match sales. These are rarely legitimate; some stores will have box springs specifically made with unmatched fabric (just to advertise the event) and then sell them at regular mark-up. Also beware of “free” items with bed purchase, because often the price of the bed has been inflated to account for the cost of the free items. Think logically; instead of comparing what you think you’re saving, compare what you’re actually spending. 3. Allow yourself to be helped. 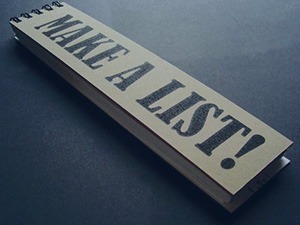 Bring your list of criteria with you when mattress shopping, and share it with the salesperson. Let them know how often the bed will be used—daily versus in a guest room or vacation home. Don’t be afraid to ask questions, because many things have changed since the last time you shopped for a bed (new materials, manufacturing processes, etc.). Also try to compare “apples to apples” when shopping different stores by checking model specifications. If you want to know exactly which materials are being used in each bed, request to see the law tags. All reputable dealers should be happy to oblige. 4. Be cautious of imitations. There are knock-offs of established brands available, but they are generally inferior in quality and break down faster. Though cheaper initially, imitations will require replacement sooner than originals and thus be more expensive in the long run. For example, Tempur-Pedic foam is a proprietary material that is very different from—but easily confused with—commodity memory foam. Tempur-Pedic has spent many years and millions of dollars developing and testing their product, which will outlast and outperform memory foam. Another example of when to avoid imitations is if you are looking for a latex bed. Understand that there are different kinds of latex mattresses on the market, but they are not all equal. The best quality, most durable kind is natural Dunlop latex (not synthetic or Talalay). Your new mattress is an important investment and the selection process should not be rushed. 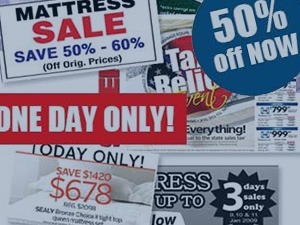 Always be skeptical of one-day-only or 50% off “sales.” These events are designed to pressure you into buying on emotion. When you’re in a mattress store, don’t be shy about lying down or even taking a nap (those banners across the bottoms of each bed are actually foot protectors). If you are a side sleeper, roll up on your side to make sure your hips and shoulders are properly cradled and supported. Relax for a while—remember that eight hours (a good night’s sleep) is significantly longer than a five-minute test rest. Feel free to leave the store and return another day. Your list of criteria and your budget should be the only motivating factors in making a purchase decision.